This concept assures fulfillment of your requirements and provides you with performance reserves at favorable attractive investment costs. Competent contact persons are available to provide you with accurate advice and assistance for all of your questions and concerns. Many years of experience enable us to offer quick, efficient solutions which fulfill your individual requirements. Each project is implemented in a clear-cut, logical fashion, allowing you to follow the development of your shredder in detail, and issue manufacturing approval with confidence. 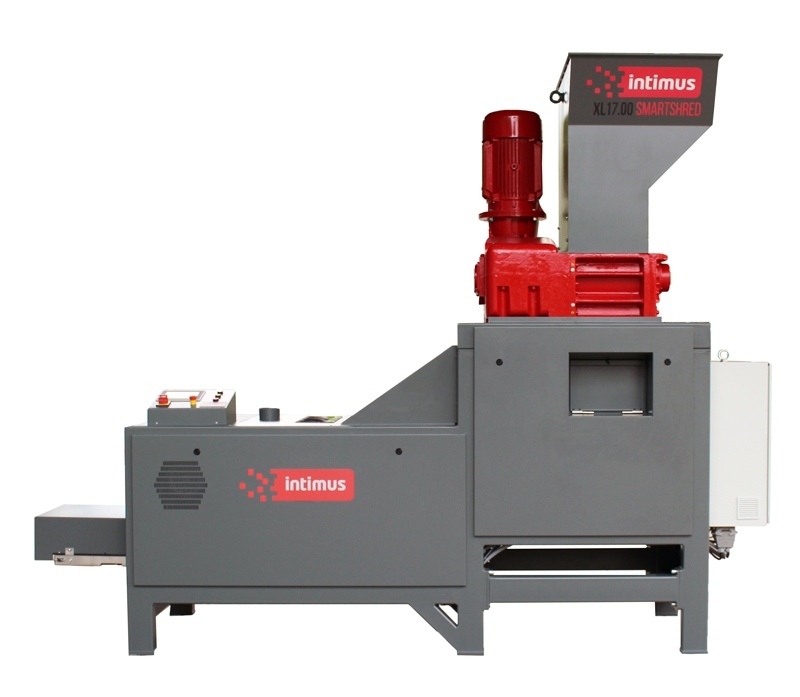 • Specially suited storage and compacting equipment is recommended for further processing of shredded particles. Simple storage solutions (containers), as well as specially conﬁgured compacting equipment for volume reduction can be supplied upon request. •XLM shredders are equipped with an integrated magnetic separator. Obsolete ring binders, patient files and other records with metal reinforcements for hanging file folder cabinets no longer need to be sorted out for removal of integrated metal components. •Scrapped metal parts are collected in a mobile receptacle, from which they can be disposed of.